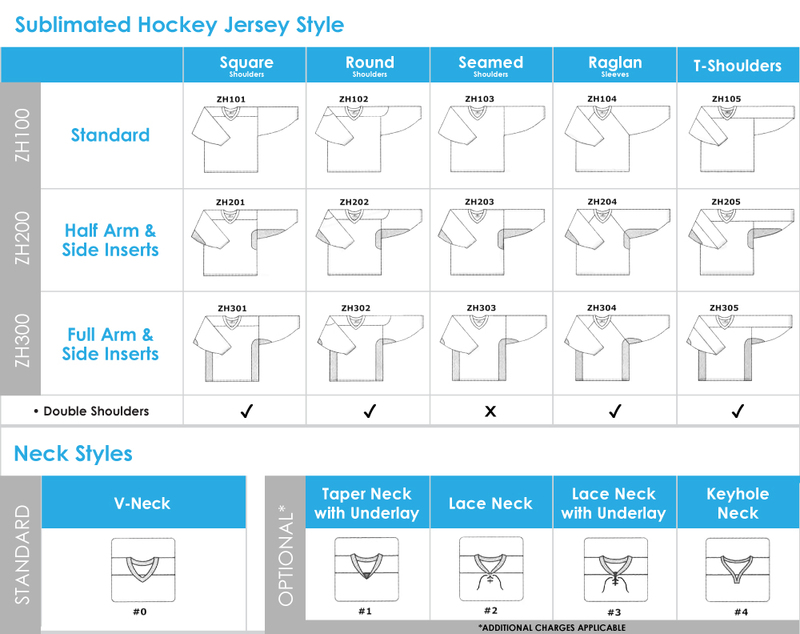 Getting fully customized hockey jerseys in Canada doesn't have to be a hassle! These blank jerseys are sublimated. This method does not have any limitation, meaning you can design the entire garment! You can send us your design directly and we will be happy to decorate the garment accordingly. Our friendly customer service representatives will ensure every step is taken towards a great end product. Sublimated numbers are included in pricing; Sublimated names for each jersey will cost $10 extra.